Libana returns to Prairie for a special celebration in honor of our 50th Anniversary and their 35th Anniversary. Having performed and facilitated workshops for students on five other occasions, Libana’s first visit dates back to 1989. We are thrilled to welcome them back to campus! As a special treat, Libana will work with Primary School music classes where they will engage students in a lively exploration of multicultural music and dance. The Primary School 3rd and 4th grade choir in conjunction with Upper School singers will also join them on stage for a special community-wide performance. Join us for a celebratory evening of planetary rhythm and harmony, and lift your spirits toward summer’s light! 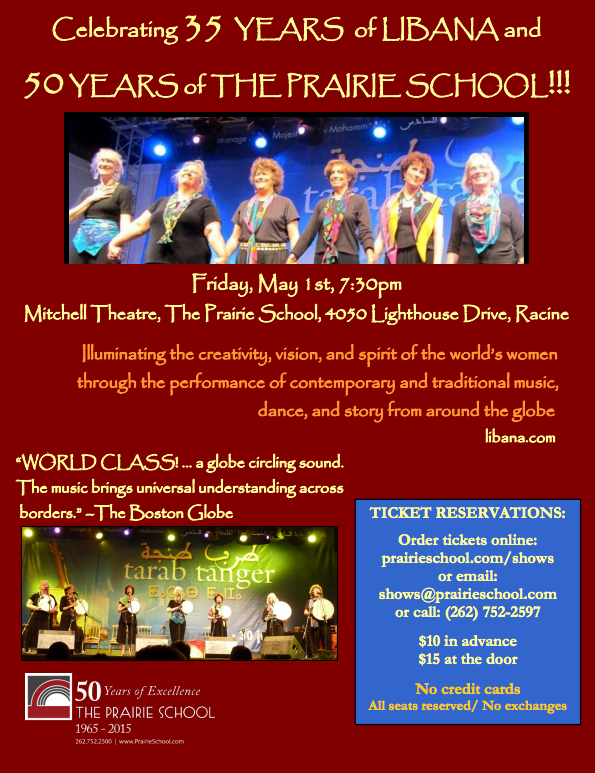 Interweaving worldly music, dance and story from various cultures, the Racine, and Prairie community will enjoy an unforgettable performance. 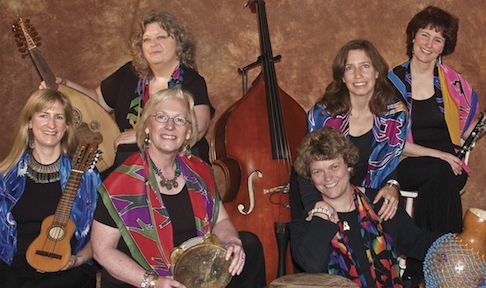 Libana’s nine recordings and three songbooks have inspired the formation and the repertoires of songcircles and choruses of all ages around the globe, and their music and performances have kindled a sense of joy, strength, healing and empowerment in several generations of listeners. This entry was posted in All News, Performing Arts by Communications Department. Bookmark the permalink.